After months of considering ordering a DK 2 from Oculus Rift, I spent several weeks committed to waiting for the Crescent Bay headset. Today, I took an honest look at my new obsession with Virtual Reality and decided that it was time to go all in. 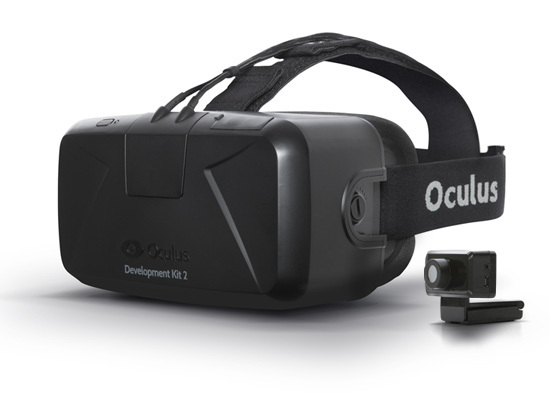 Today, I decided to become an owner of my very own Oculus Rift DK 2. The majority of consumer-grade virtual reality experiences are written for the not-retail-available Oculus Rift, the wildly successful VR headset that was acquired by Facebook earlier this year. I’ve noticed over the past few weeks in my quest to absorb everything I possible could about AR & VR that the majority of the games and software applications being produced for VR are for the Oculus right now – and I’ve gotten tired of reading about them, I want to actually try them out! The Oculus Rift DK 2, with tax and shipping to California, is just under $400, or what I would pay for a new gaming console. This is probably going to be a bit of a rabbit hole, because I just bought a shiny new MBP and don’t have a desktop with a dedicated graphics card, I just backed an exoskeleton haptic feedback device, and I am already checking out what I should buy to build a powerful enough rig to run the Oculus demos being released, but I couldn’t be more excited. To get an idea of when I could potentially expect my DK 2, I hopped on reddit today and saw that recent orders seemed to be taking about two months, so if I’m lucky, I could be seeing my VR world right around Christmas. I also noticed that there was an announcement today about the Crescent Bay taking “many months“, so I feel pretty thankful that I finally decided not to wait. Do you have (and love?) a DK 2? Are you waiting? I can’t wait to get my hands on this and see what kind of damage I can do. Next PostSVVR Meetup & A New Unity Project!